Nursing is a combination of art and science that is applied together to meet the needs of community. This is one of the leading professions in the healthcare sector which is highly sought after as it is rewarding. Registered nurse schools in Virginia furnish you with all the requisite skills to become a successful nurse in varied health care facilities like hospitals, clinics, home health care agencies, physicians’ offices etc. The usage of innovative technologies in the past few years has made registered nursing one of the most exhilarating and challenging careers. The minimum age for enrolment in RN program programs is 18 years. The applicant must have authentic photo identification (like passport or driving license). It is essential to clear the pre-test called TEAS(Test of Essential Academic Skills) conducted by many institutes. It’s compulsory to complete high school education. The student is supposed to submit fingerprint report and residency verification form. It is mandatory for every candidate to undergo the drug test and criminal background check. You must not be involved in any wrongdoings. Students should attain proficiency in English language and must have excellent communication skills. Associate Degree in Nursing: It takes 2 years of rigorous study to finish the curriculum which prepares aspirants for entry-level positions, and to meet the evolving health care needs. Bachelor of Science in Nursing: The bachelor degree in nursing is a four-year program. The main objective of this coursework is to equip students with an optimistic and dynamic approach of learning that develops critical thinking, leadership traits and problem-solving skills. Diploma Course: Diploma programs complete in 3-4 years. The curriculum mainly focuses on the fundamentals of nursing. Usually hospital-based nursing institutions award this diploma. You get exposure to varied health care environments. Direct Entry MSN Program: If you possess a bachelor degree in a non-nursing field and have interest in the nursing profession, you can choose this transitional pathway by enrolling in this program. Accelerated BSN Degree: An accelerated baccalaureate degree is a 12-16 month program designed for students who already hold a bachelor degree in a field other than nursing. It gives them an opportunity to work in a health care industry as an RN. LPN to RN: Those LPNs who aim to achieve an RN title can select this pathway. It enhances their knowledge and working ability, which in turn, will promote sound care delivery and raise health care outcomes. RN to BSN Program: It is designed for those RNs who are already working and possess an associate degree or diploma. They can boost their pay scale by continuing their education and earning a bachelor degree. The coursework develops critical thinking and cultivates nursing values. 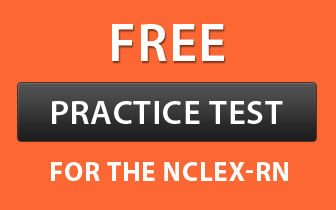 All the above programs prepare students for the NCLEX-RN exam in order to earn a licensure. Master of Science in Nursing: Those RNs who want to improve their clinical skills and enhance the knowledge to maintain pace with the current technologies can register themselves for this program. It provides an inclusive curriculum which helps them attain specialization in their area of interest. Doctor of Nursing Practices (DNP): DNP is the highest education level of nursing vocation that develops holistic approach among nurses and inculcates essential caring values. It is formulated for well-skilled clinical nurse specialists, nurse practitioners, nurse anesthetists, nurse educators etc. Aspirants should complete their RN education from an approved institution. Here is a list of accredited colleges in Virginia. Note: All the above mentioned institutes offer master degree program, except ECPI University, George Washington University, Radford University, Sentara College of Health Sciences and the University of Virginia’s College at Wise.